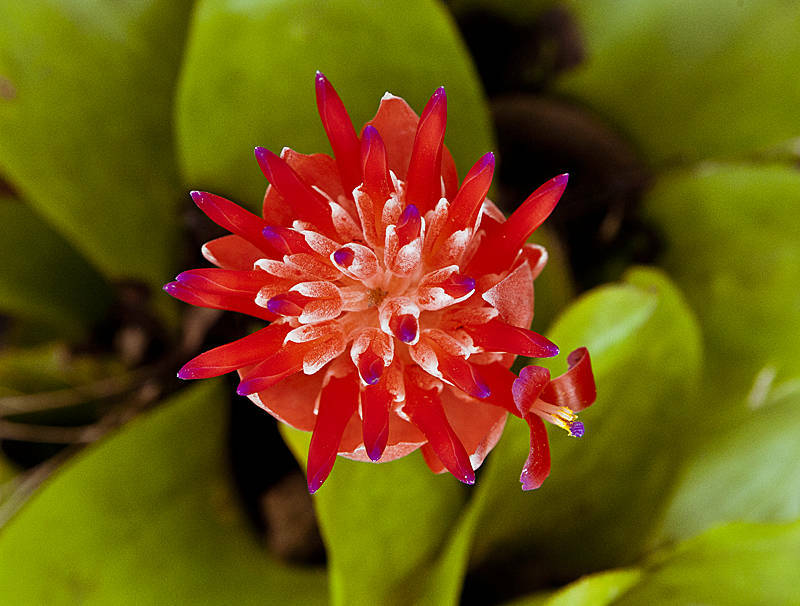 This flower is from an epiphytic bromeliad. We have a small colony of them growing on the Frangipani trees in our garden in Queensland, Australia. This image is for Molly Path who is fond of my floral photography.